No more struggling to find your keys, missing phone calls or clumsy searching on the street. Each time you open it, the bag literally sparks joy. 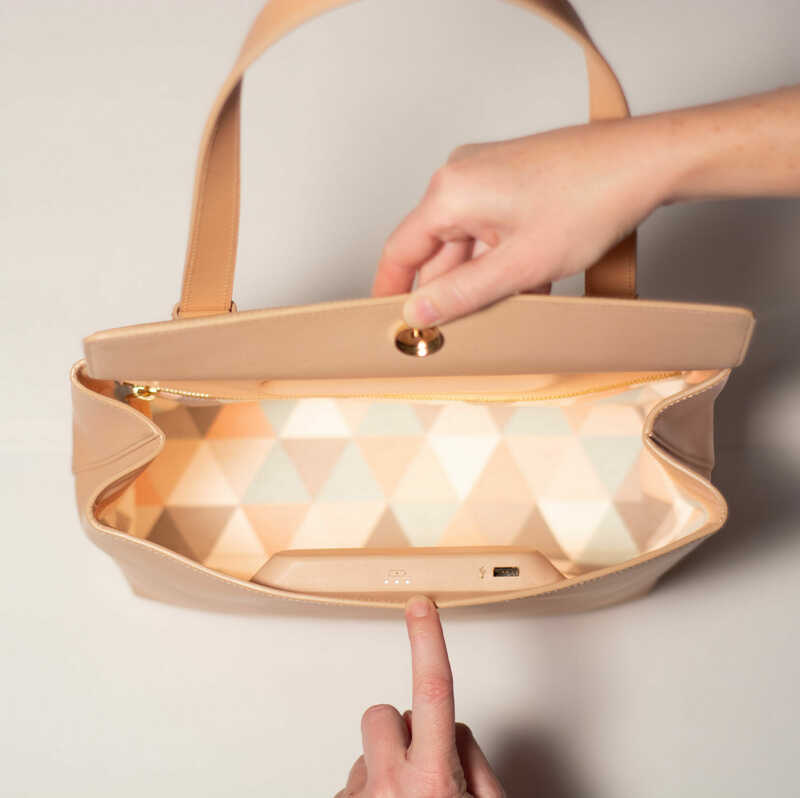 A subtle soft light illuminates the interior making it easy and pleasant to get something out of your bag. Ever run out of phone battery at just the wrong moment? Waiting for this important phone call? Going home alone in the dark? Away for a trip without a charger? Wherever you are, you can charge your phone. Just plug in your USB and the bag charges your phone back to full. The bag has a high-end battery that lasts about a week. You can charge the bag effortlessly. Just drop it onto the wireless charger at night and the next morning you’re good to go for another week. Crossybody, over the shoulder or over the arm. The single strap can be set to the length that best fits your body and style. A single handle instead of two also makes it easier to get in and out of the bag while you’re carrying it. We choose a lucky winner every season. All new subscribers are eligible.